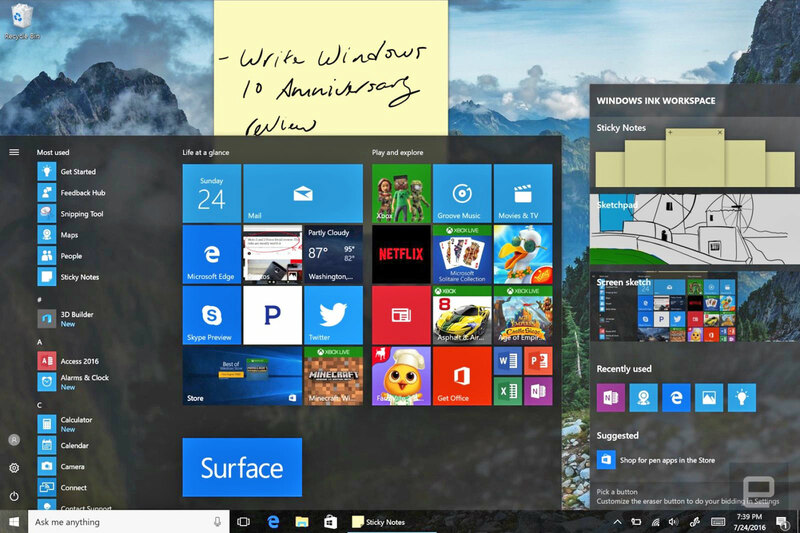 After a few months of hype, the Windows 10 Anniversary Update is here… well, mostly. Microsoft has started rolling out the upgrade to desktop users, who’ll automatically receive it stages with “newer machines” getting it first. You can update manually if you just can’t stand sitting behind the curve. However long you wait, your PC will get more pervasive Cortana voice commands (such as controlling some apps), deeper pen input (including a dedicated pen interface) and a spruced-up Edge browser with extensions. If you’re hoping to update your Windows 10 phone… well, you’ll have to be patient. The Redmond crew will only say that the Anniversary Update hits smartphones in the “coming weeks.” Not that there’s as much of a rush in the first place. While the Windows 10 Mobile release gets some desktop features (such as cross-platform Cortana syncing) as well as interface tweaks (like more active Live Tiles and swipe-based browser navigation), it’s not the star of the show this time around.